Sodding lawn is a relatively easy project for the do-it-yourselfer landscaper. This how-to module will give you some great information on how to sod like a professional. Grass is one the most important basic elements of a yard, and it has been on the planet for about 20 million years. It can serve many purposes from a play area, pathway, or a transition zone from the house to the gardens. Some people say that a well manicured lawn is a reflection of the homeowner's pride and attention to detail. Whatever the purpose for having grass, we are glad you found us. By following our module on how to lay sod, you should have a healthy, thick, and lush looking lawn. Installing your own lawn is not a difficult thing to do, and should save you hundreds of dollars in the process. Hopefully, this will allow you to add some other features to your yard. Rolling out some new sod down by the lake. Grass can also be one of the most expensive, and high maintenance features in your yard. Proper preparation work is always the key before sodding lawn. Remember, that the yard is your flowerpot, and the grass is your plant. If you want it to thrive, having the best soil conditions you can have is the key. It may cost you a little more up front, but will save you money over the years on expensive lawn care products. Like most landscaping projects, you don't need to own expensive tools or equipment to install sod. What you don't have in your tool collection already, can be rented from most rental places. Sodding lawn will be broken down into a few different sections and easy to read with pictures and video when possible. We want to give as many helpful techniques and money saving tips as we can. If you have any questions along the way you can contact us using the contact us page. If you are renovating an existing lawn, you should visit our how-to module on Lawn Repair. This will show you some ways of preparing your lawn for sod or seed on a limited budget. It also will address the issues of why your lawn was not doing well, and how to deal with the existing grass/weeds before you sod. In conjunction with this sodding module, we also encourage you to review our module on Lawn Care and Maintenance. You might want to give this a read through before you begin installing your lawn, so you are aware of what's required to keep your lawn looking beautiful. As always, we encourage anyone to write in to us with their tips and techniques, so we can add them to our site. Although sodding may be a pretty basic task, we understand that there can be regional differences in materials like sod, grass types and soil conditions. The tips from you help ensure the correct information is available, no matter where you live in the world. 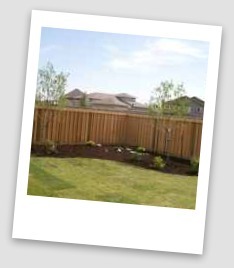 Don't forget to take lots of pictures of your home landscaping projects before, during and after. If you like to show off your dream yard, we can post them in our ideas section for everyone to see. So good luck, let's get to it.